Toronto Pearson International Airport received a charming surprise. Travelers discovered a raccoon peeking out at them from the ceiling. The furry friend brought foot traffic to a slow down when he curiously scoped out the terminal. His presence sent Twitter abuzz with videos and photos. See the funny scene for yourself! You can hear the cries of delight from travelers who have just spotted the enchanting companion in the ceiling. Their reactions make the scene all the more awesome! You get a better view of the activity below from this shot. The little critter was a welcomed sight for most weary travelers who just stepped off the flight from Edmonton. Oh, he definitely makes collecting luggage a heck of a lot more enjoyable! According to Mashable, the feisty little fella didn’t stay put for long. He wandered to a new part of the airport a few hours later. Like us, he just wants to explore. 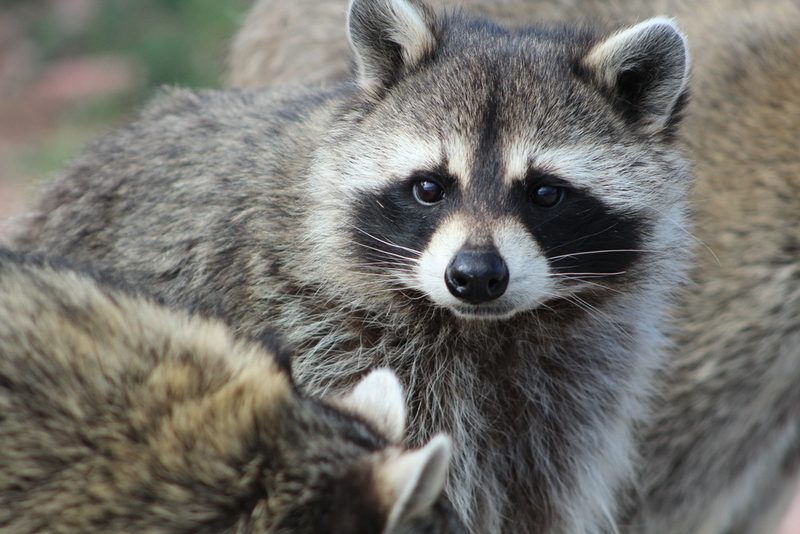 A spokesperson for the Greater Toronto Transit Authority said they were working on safely and humanely relocating the raccoon. Animals are no strangers to airports. They can be a great source of relief to anxious fliers. In fact, San Francisco International Airport launched Way Brigade, an animal therapy group, in 2013. They even hired LiLou, a dancing, piano-playing pig. Los Angeles’ LAX has the Pets Unstressing Passengers (PUP) program. Denver International has the Canine Airport Therapy Squad (CATS). And Cincinnati/Northern Kentucky International Airport has Dakota, a miniature therapy horse. Plus, according to Nancy George-Michalson, executive director of New York Therapy Animals, animals are good for your general health. So next time you’re walking down a long corridor toward baggage claim, look up! You never know what adorable surprises may hanging out.